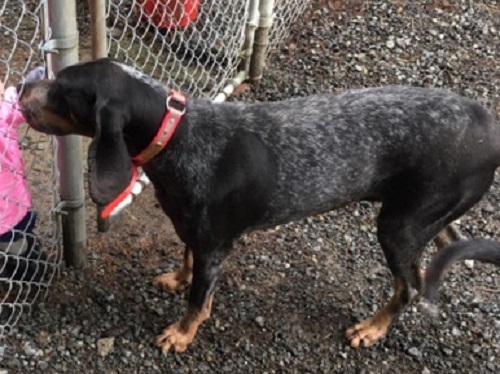 Westshore RCMP are looking for purebred dog after a Langford resident reported the Bluetick hound stolen Wednesday night. 8-year-old Lilly was taken from the fenced backyard in the 1700 block of Falcon Heights Rd around 11pm. Investigators say the metal fence was damaged, and a bag of food likely used to lure the canine. The 85-pound dog has a tattoo in her ear,one of her ears has a slight cut in it, and she was wearing a pink collar. If you have any tips, contact West Shore RCMP or Crimestoppers.